If you are looking for a durable and quality backpack, the 5.11 Tactical Rush 72 Backpack is the answer for you. You might know about the 5.11 Tactical Rush families as this model share space with its two other siblings: 12 and 24. 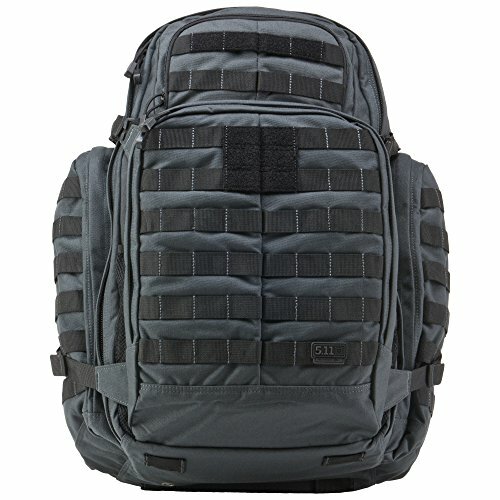 As this is this hottest selling model in the market, it was genuinely significant to write about 5.11 Tactical Rush 72 Backpack Review so that customers can know all about it. Considering the general details, the dimensions of this model are 1 x 16.6 x 1 inches and it is a lightweight product. Well, the material use in the construction of this bag is of highly superior quality. 5.11 tactical rush has been made up of ballistic nylon which is also considered as the most durable and strongest material for backpacks. Due to PUx2 coating, it can be valiantly taken out in any weather conditions. This coating will not allow water to enter inside the bag and damage the gears in it. The pocket flaps and bags of this product have been detailed with strong coating for extreme water protection. These are the places where the user can keep your gadgets and wallet. Therefore, regardless of the weather conditions, you can easily take this bag out with you. The prime purpose for anyone who wants to buy a tactical bag is to keep their belongings with them when they are on a move. The main compartments of this bag are quite space savvy. Customers can expect this bag to accommodate everything you need while commuting. Also, the structure has been planned in a brilliant way for every single detail that the user might need. First of all this model is available in different colors. It has got spectacular looks and well-structured body. The USP of this bag is its YKK self-repairing nylon coil zippers. Well, these are the zippers that are installed in bags that carry heavy gadgets as these are most flexible, durable and concrete. The straps of the bag are flexible for various sizing so the buyer can adjust them according to his/her size. Also, the straps are finely padded so that they do not trouble the user on long commutes. Every end is easily accessible and can be tied brilliantly to the other end. It has been claimed as a bit expensive by some people. Q: Does this product provide good hip support? A: Yes, this model comes with brilliant hip support as you can find a kidney belt that serves the purpose. The belt is finely crafted and has genuine padding to give comfortable support. 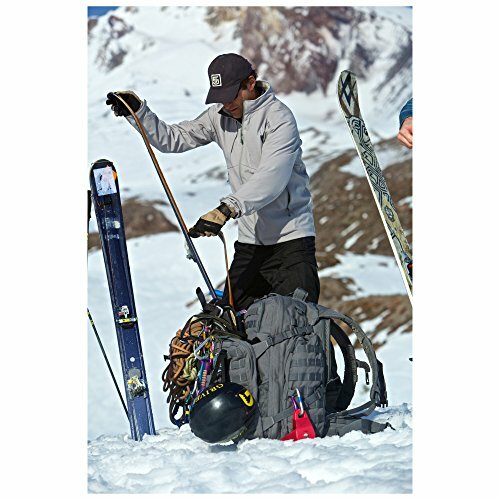 This model is highly suggested for hiking and mountain climbing because of its comfy support on the shoulders and hips. Q: What is the weight of the bag and also mention the dimensions? A: The weight of this model is 3.4 pounds and the dimensions are 1 x 16.6 x 1 inches. On summing up 5.11 Tactical Rush 72 backpack review, I would only say that this model has got exceptional spacing and it has been very well organized. Mostly buyers complain about the comfort, but this bag is very easy and comfy to carry places with you. The design and colors of this model are also spectacular so customers can pick any one among the range featured at Amazon. Soon after the initiation of this model in the industry, it has fascinated many buyers due to its features. I will definitely give thumbs up to this bag and suggest it to my readers. Happy Shopping!